We gifted my sister and BIL an original painting from Brazil, and while we were visiting them, it gave me the perfect chance to test the acrylic-framing waters. I had them cut 1/4" (rather than 1/8") pieces for a more substantial look, and drill holes at each corner. 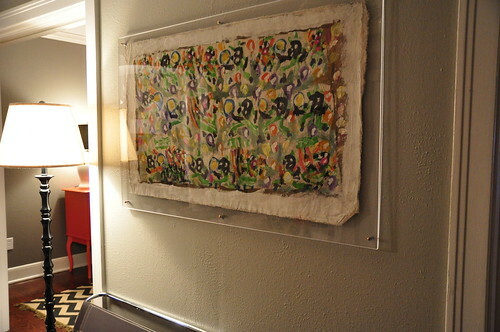 Since I wanted a floating look, I had them size the sheets to allow about a two-inch border around the painting. 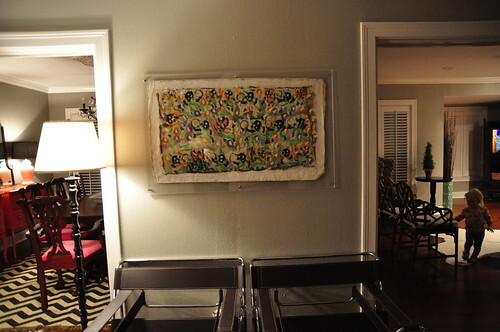 To hang the painting, I had to enlist Ben's help (of course!). He had to enlarge the drill holes a bit to allow for the brass screws we selected to hang the art. 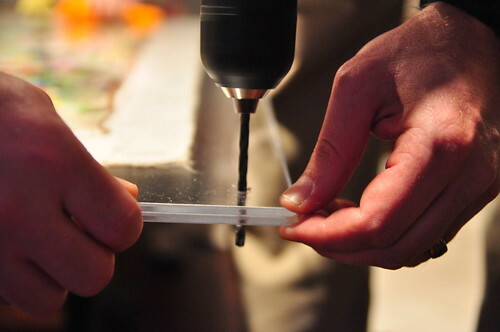 If you try this, be slooooow and careful, so you don't crack the acrylic! 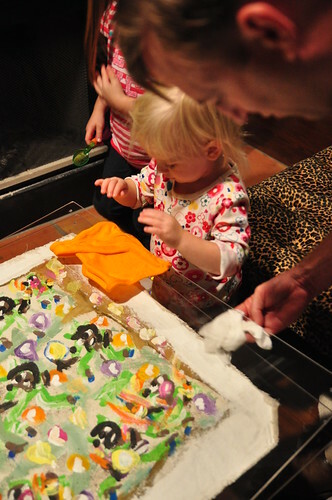 Next, we cleaned the acrylic of all fingerprints. He had a little "help." Note to self: next time, use latex gloves! 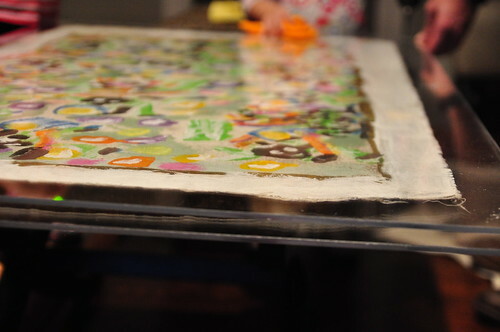 We used double-sided tape on the back of the painting to make sure it wouldn't slip during the hanging process. We secured it all with brass screws through the drilled holes - straight into the wall (using drywall anchors). ......aaaaand DONE!